5 stars - "Canon Pixma ip 4600 InkJet Printer at best price with CISS" by Oliver, Written on 2010, 15:20/08/16 With digital cameras and 4600 Canon - home studio. Prints cool. With CISS general super. Here are just a little noisy. 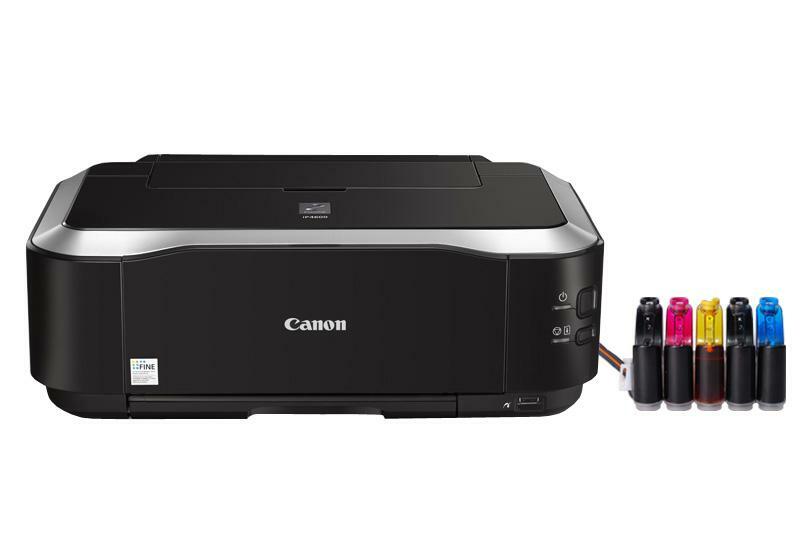 Buy Printer Canon Pixma ip 4600 with CISS and make 30 times more quality prints for the same money! Pay only 0.04 USD for A-4 full color print! ¹ Ink droplets can be placed with a pitch of 1/9600 inch at minimum. With digital cameras and 4600 Canon - home studio. Prints cool. With CISS general super. Here are just a little noisy.